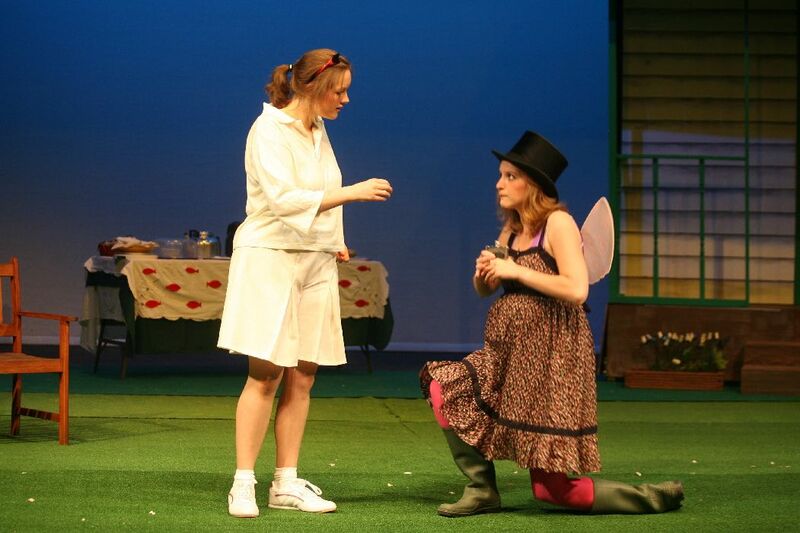 In 2003 David Tatnall co-directed Ruddigore for the Juniors (now Debut Youth Theatre) but was not very pleased with the outcome. 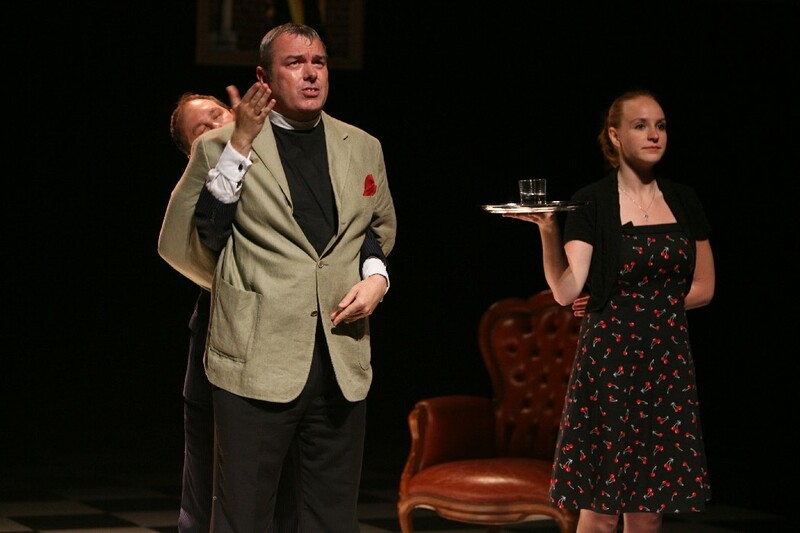 Consequently, he was keen to accept the offer to tackle the show again, ‘because it will help me to erase the memory of the junior version from my brain!’ He requested Philip Johnson as MD and he was thrilled to be asked again but sadly died before rehearsals began. Fortunately Nigel Finch, who was fairly new to the area, was curious to see what SOS had to offer. 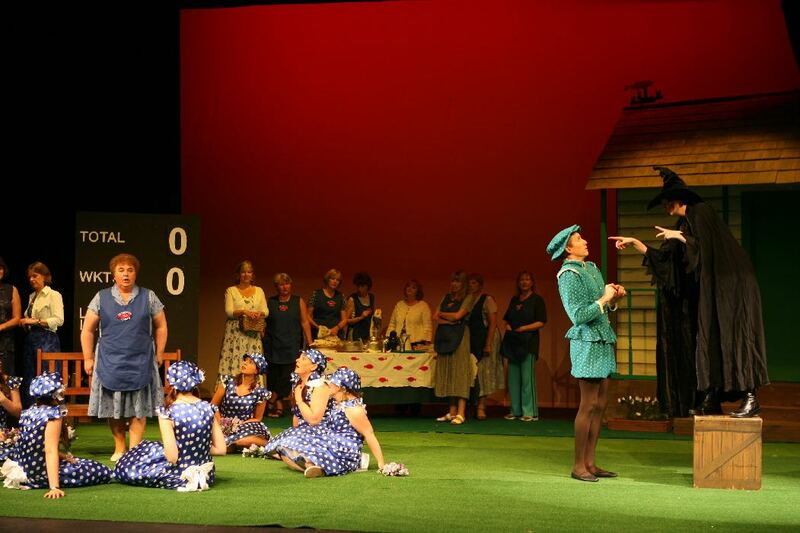 David’s latest vision for Ruddigore did not disappoint and, as usual, was full of innovations. 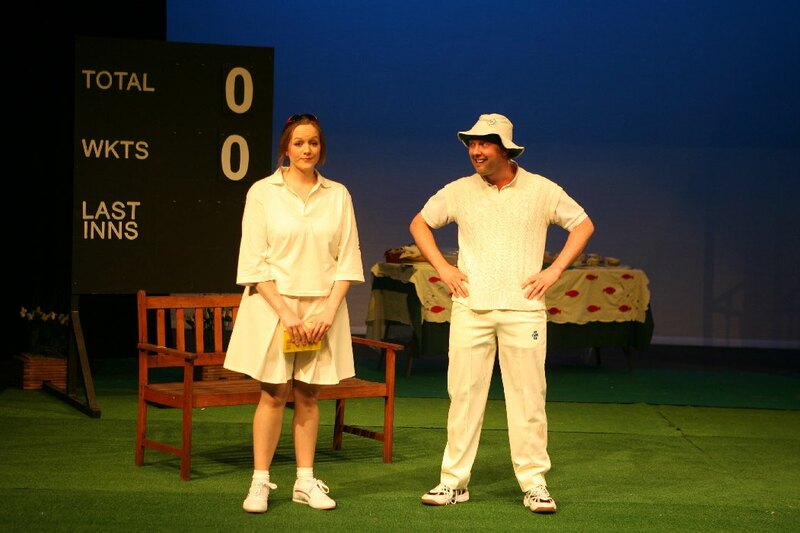 Act 1 was staged around a village cricket match with Rose Maybud (Annie Masters) the star player and Robin Oakapple (Matt Sturgeon) the team’s enthusiastic but inept captain. 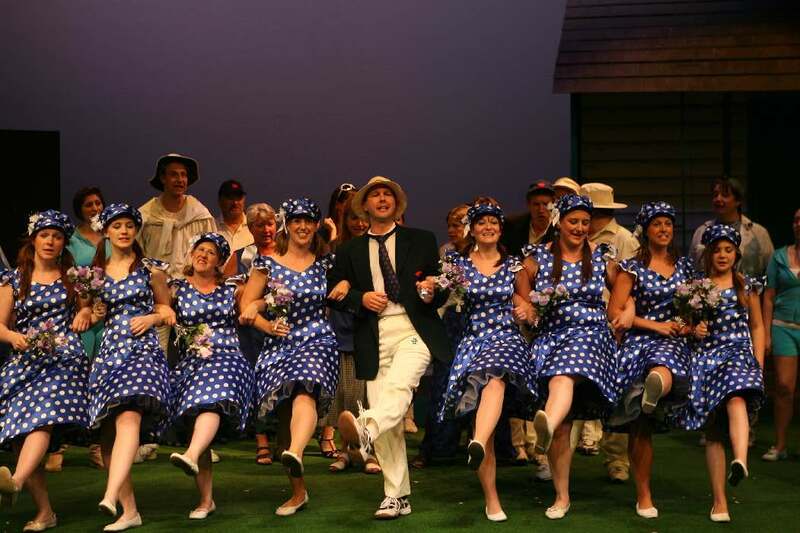 A mimed cricket match replaced the traditional dance sequence and was notable for Sir Despard (David Rayner) attempting to streak across the wicket as his ‘daily bad deed’, not to mention an over of sixes from the visiting captain, Fatty Willy Gilbers (Brian Quantrill). Members of the audience regretting the lack of dancing were instead treated to Richard Dauntless (Jason Sly) performing the worst-ever hornpipe complete with inappropriate ‘jazz hands’. 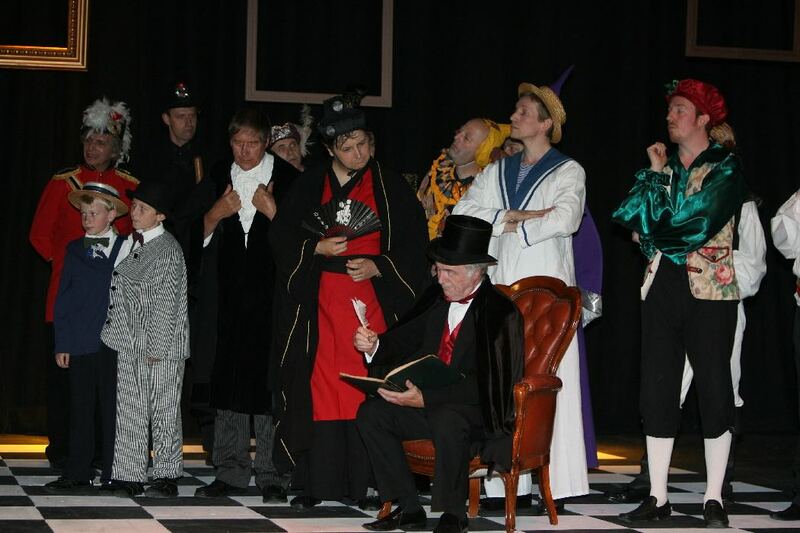 Act 2 had a more traditional feel to it, except the ghosts were all characters from other G&S operas (e.g. Sir Ko-Ko Murgatroyd, Sir Jack Point Murgatroyd, etc) and, in order to inflict ‘the agonies’ on Ruthven, they held hands and danced around him singing Hail the Bridegroom, Hail the Bride falsetto. David also reworked a routine for The Matter Trio that he had used in that DYT production - very successfully too as it won the Best Concerted Item Award at the Buxton International G&S Festival. 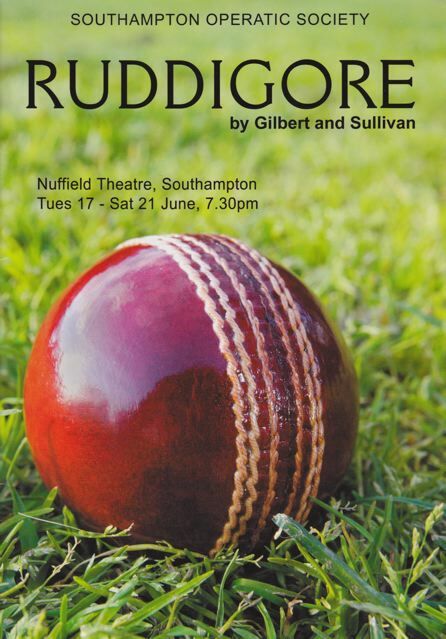 Ruddigore had been moved to the summer slot in the hopes that not having to pay royalties would result in it possibly breaking even - unfortunately it still lost £480.